It was reasonably priced and I knew it would fit without trying it on. However, I’m quiet old fashioned and it proved to be too short to my liking. My dresses/skirts have to be at least below the knee or longer. However, I really liked the dress. 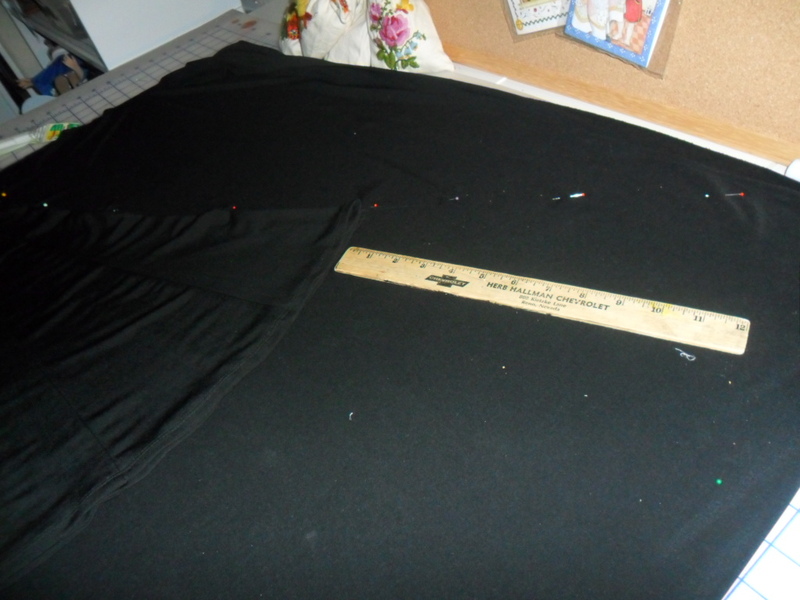 So I took two yards of black fabric which matched the original skirt in feel as well as color. Then I proceeded to detach the bodice from the skirt. 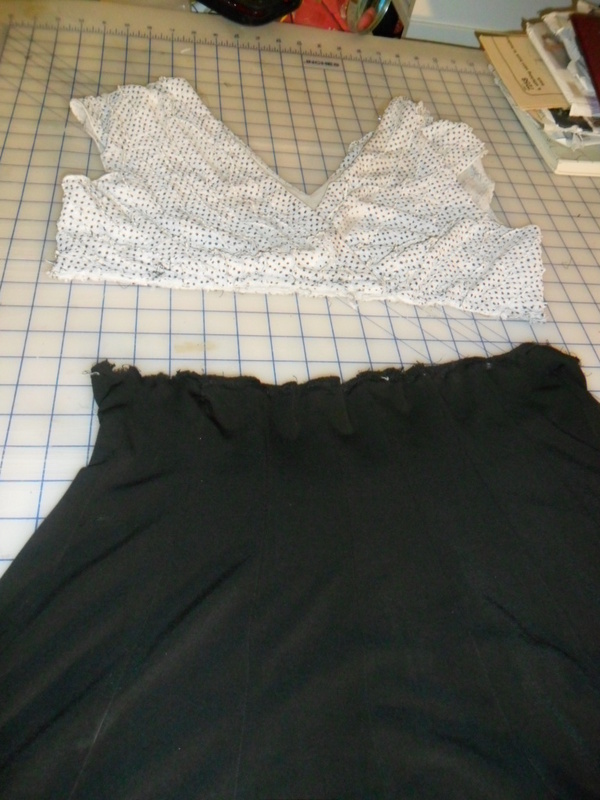 Now it was just a matter of making a new skirt – straight stitch and overlock on my serger. 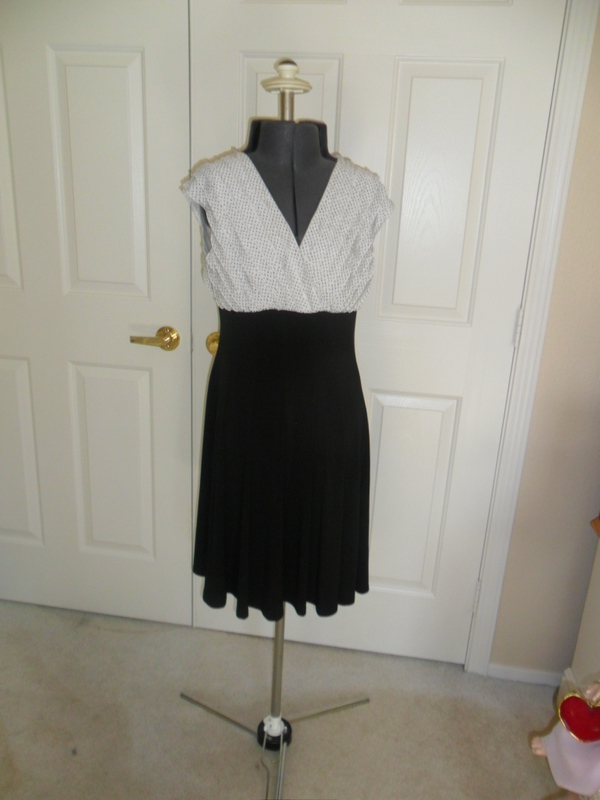 Attach the bodice to the skirt and hem it. 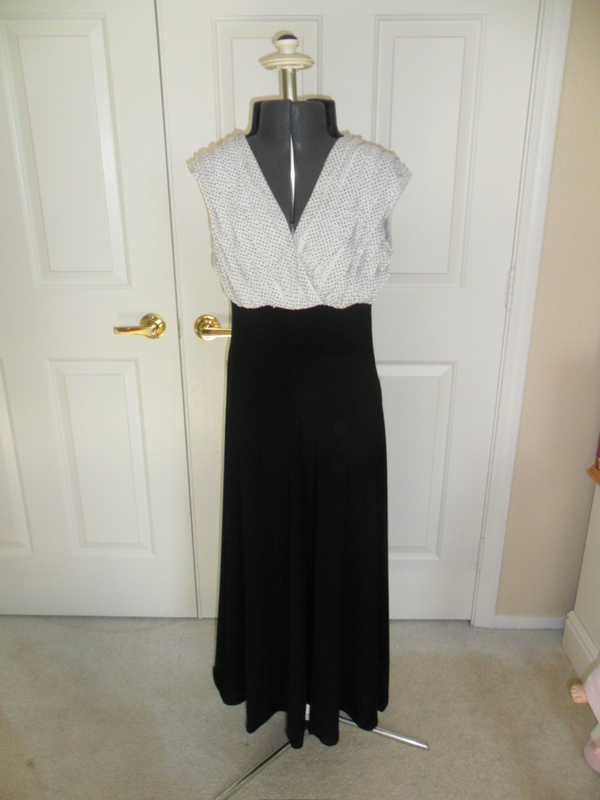 Oh, a ball point needle is always a blessing with this kind of soft knit with a touch of spandex. Now it is perfect for me. Oh, the rewards of sewing!